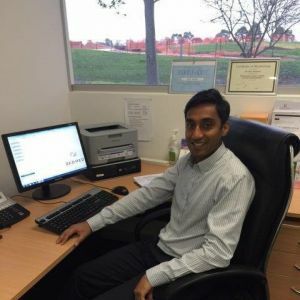 Mr. Aravinthan Saravanamuttu achieved his medical degree through the University of Melbourne in 2005, He gained experience at a number of Victorian public hospitals including The Alfred, Box Hill, Frankston, Maroondah, Sandringham and The Angliss. Mr. Saravanamuttu qualified as a General Surgeon in 2014 (FRACS) and gained further training in Upper Gastrointestinal and Bariatric Surgery. Mr. Saravanamuttu worked at Tweed Hospital in NSW and John Flynn Private Hospital in QLD where he was exposed to robotic surgery. In 2015, he returned to the Alfred to gain valuable experience in revisional bariatric surgery, complex Upper GI surgery and trauma surgery. Mr Saravanamuttu consults from Nepean Specialist Centre located inside Peninsula Private Hospital, Frankston.